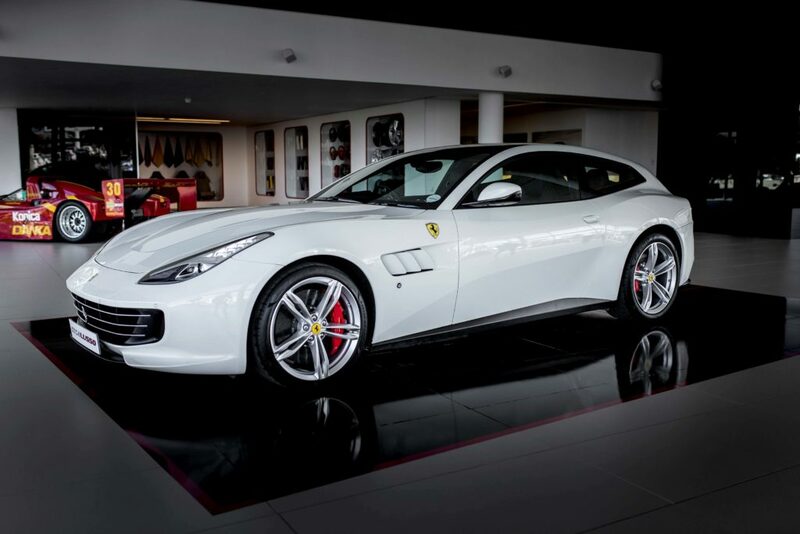 In what is considered the golden age of Ferrari in South Africa, and in the wake of the elegant release of the GTC4Lusso, we teamed up with Scuderia Johannesburg to showcase the brand’s success in our country. How does one begin to improve on the GTC4Lusso’s unique versatility and allure? By putting it in the hands of another quintessential beauty: South African television gem, Mampho Brescia! Mampho Brescia and the GTC4Lusso. What was for over 40 years known as Viglietti Motors, home of Ferrari in South Africa, was in 2015 rebranded as Scuderia South Africa. 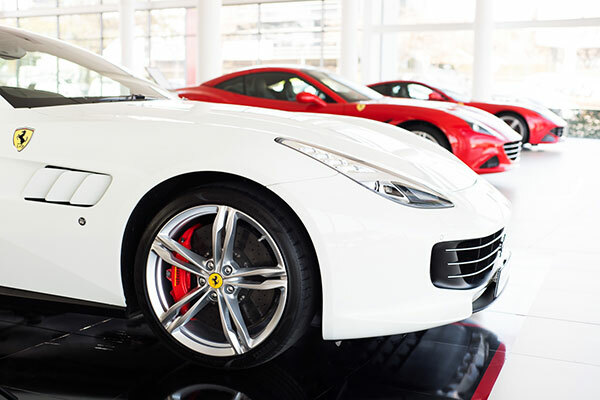 With branches in Johannesburg, Cape Town and Durban, the Scuderia Ferrari premises offer state of the art showrooms and workshop facilities. The Italian automaker sold a total of 94 Prancing Horse models last year. While this number doesn’t sound monumental at first, it’s actually a significant indicator of Ferrari’s rising sales figures in South Africa. Considering that the most affordable car retails at R4.3 million, 94 sales is no insignificant feat. This undeniable growth in popularity of Maranello’s finest in Mzansi marks a new era for the brand, especially when global car sales have in fact dropped. The arrival of the GTC4Lusso marks a whole new world for Ferrari. The model is aimed at “owners looking for a supercar that is sporty, elegant, versatile and suitable for everyday driving”, says the automaker. This marriage of power and versatility continues to open up Scuderia’s client base to younger buyers, who tend to clock higher mileage and expect to use their cars in a variety of settings. The ‘4’ is significant to the model. It has four wrap-around seats, and is fitted with Ferrari’s 4RM Evo four-wheel drive, integrated with rear-wheel steering. It’s this integration that allows the driver to effortlessly handle the model’s remarkable torque on any terrain. “The result is tremendous stability and masterful control that translate into superior performance”, says Scuderia South Africa’s CEO, Mervyn Eagles. For drivers who demand power, but won’t compromise on comfort, the sporty elegance and impeccable detailing of the GTC4Lusso is a bullseye! When I first looked at the GTC4Lusso, I felt simply beautiful! Its lines are undeniably sleek and elegant. The features are so stunning, inside and out, that you can’t deny the allure. It’s like a beautiful woman. It’s not just that you want to immediately get inside and drive it, it’s that this car makes you feel like you could! 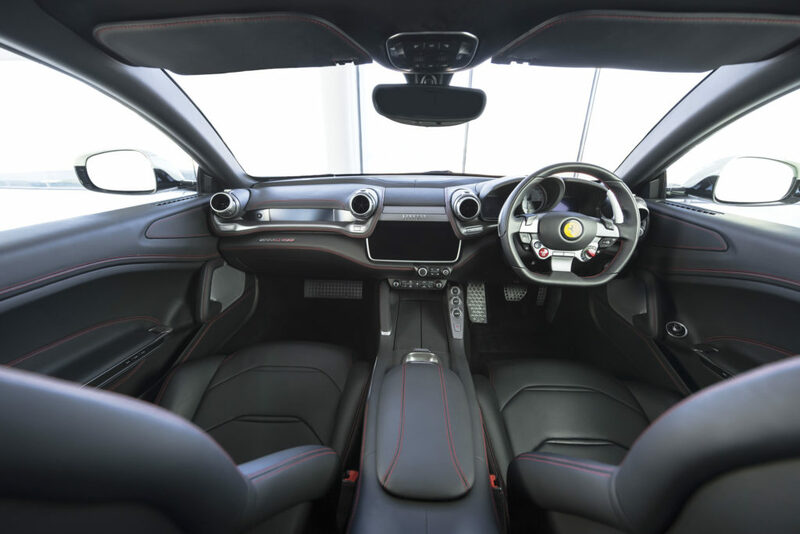 The interior of the GTC4Lusso. And that’s what I loved about driving it. There’s a stability to its aesthetic that makes it feel accessible. The interior envelopes you in a sense of luxury, and it handles as though you’re flying. The steering is exquisitely smooth, and even breaking and turning on Johannesburg roads felt like driving on air. It felt like the car merged with my driving style, like it was reading my intentions. 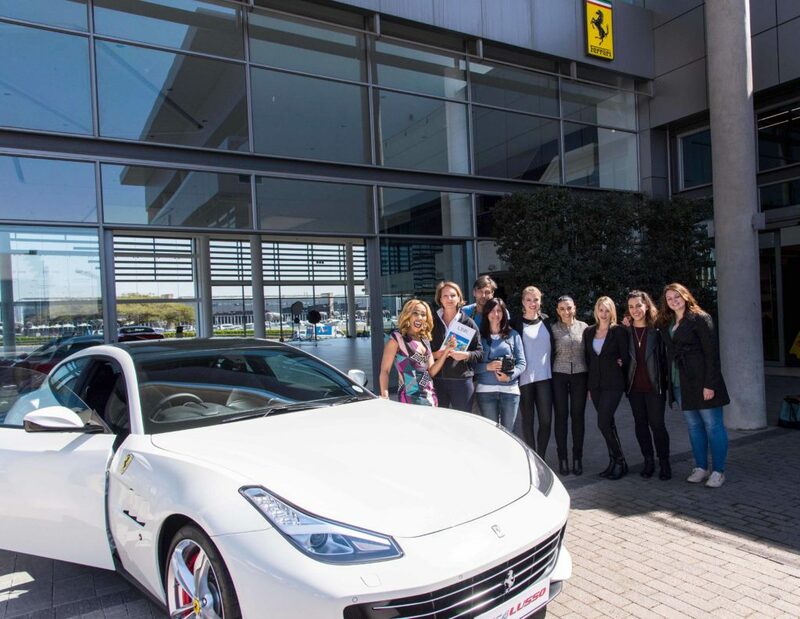 From left ro right: Mampho Brescia, Francesca Vallardi, Andrea Galli and Linda Oteri, Caroline van Rensburg and Chanelle Zackey, Jessica Hedley, Chanel Rayner and Kat Couzyn.